Finally Enakku Innoru Peru Irukku first look has been released by Director AR Murugadoss via his official Twitter handle. 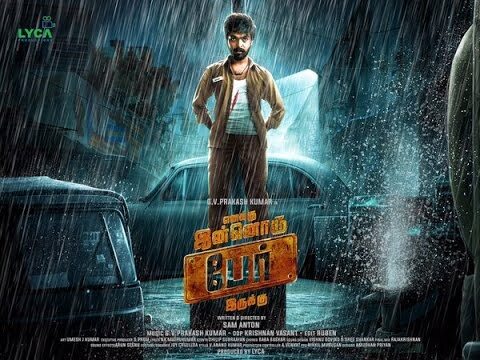 AR Murugadoss tweeted " Amazing first look of #EnakkuInnoruPerIrukku #NaakuInkoPerundi .. Best wishes @gvprakash @samanton21 @joy_stylist.". GV Prakash is seen in auto driver look and the first look resembles one of the highlight scene in Rajinikanth's Baasha. GV Prakash is playing the role of auto driver Jhony in this film while Anandshi as his love interest in this mass action entertainer. Nirosha, Saravanan and others are playing important roles. Sam Anton is the director and tunes are by GV Prakash. Lyca is the production house of the movie. Write & Share about "GV Prakash's role in Enakku Innoru Peru Irukku | Tamil Movie News | Cinema Profile" !